Refuge is a 2014 Official Finalist For The PARANORMAL AWARDS for Supernatural Fiction: The Paranormal Awards writing competition recognizes emerging new talent and outstanding works in the genre of Supernatural Fiction and Legends & Lore. The PARANORMAL Awards is a division of the Chanticleer Awards International Writing Competitions. In this story, we see the struggle of sin starting with Adam and how it accelerates with each generation. The story largely focuses on Cain and his struggle with sin and how he eventually succumbs. The aftermath of his action reaches farther than he could have ever expected…Click HERE to read the rest of Jessica’s review. Without a doubt, this is one of the most intriguing stories I have read in a long time, especially considering that I already knew the basic plot! But Melinda’s writing drew me in from the first page with her excellent characterizations as well as details that made the setting come alive, as though I were right there living it. And talk about a page turner! I lost a great deal of sleep while reading this book because I honestly couldn’t put it down, wanted to keep reading just another page or just one more chapter. The spiritual truths were evident and stark and Satan’s character gave me the willies. His evil schemes made the whole concept of spiritual warfare more real than anything I’ve read since Perretti’s books from long years ago. The message of God’s love trumping anything the devil and his cohorts could dream up, though, reassured me and brought me comfort as I watched Cain go through his transformation into the man God created him to be. What an amazing tale of every manner of sin from lust to envy and greed to hatred, all covered by God’s incredible grace and mercy as His forgiveness is clearly demonstrated in the lives of Adam and Cain in particular. I will never look at this Bible story the same again! You should run, not walk, to get this book and clear the decks when you do because you will not want to do another thing until you have finished the last breathtaking page! To be honest, I don’t normally read Christian fiction. It’s not a genre I’ve found to my liking. I purchased this book on the recommendation of a friend and to support the author, who’s blog I follow. I was more than pleasantly surprised. Biblically sound, I found many of the characters’ struggles similar to my own. 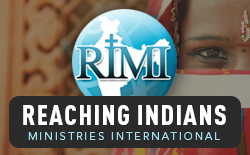 I’ve been putting their solution – prayer and seeking refuge in God and His promises – to practice. The plot was intriguing. It’s rare that a fiction book impact my daily practices. I recommend this book not only for the storyline but also for the encouragement it can give. I couldn’t put this book down. It was engaging from the very beginning and I’m grateful to have a good Christian book to read! The character development was excellent and the writing was superb. I thought about the characters even when I wasn’t reading the book. I highly recommend this book. I could not put it down, and it fed my soul and my mind! I love historical fiction, but when its based on the Bible I find it really fascinating. When I opened Refuge I anticipated that it would be about sin and its impact on humans. What I did not expect was its redemptive ending. This book provides a well thought out and well written explanation for what happened in between the murder and the birth of Cain’s child. The theology is solid, and the study questions at the end will provide you with life application that is invaluable. I loved it and look forward to the next book in this series! In Refuge, the author expertly blurs the line between truth and fiction. Melinda takes the Biblical stories of God’s first family and not only illustrates their struggle with sin but also shows how ultimately God uses them for good giving us hope he will do the same for us. From the moment of his own fiery fall to earth, Satan has sought to thwart God’s plan. He enflames our desires to have what is not rightfully ours to lead us from God’s chosen path. David, driven by murderous passion, was willing give his entire kingdom to have Uriah’s wife. Surely God couldn’t use, let alone redeem, David after this. Or could He? Melinda Viergever Inman’s story of Cain and Lilith, Refuge, draws us in to a story of rage, pain, passion and despair where we, too, wonder how God could possibly take this mess and make it right, let alone beautiful. A magnificent story that restores hope for our brokenness and leaves God firmly enthroned and in control of His creation! This book has it all. Murder, love, revenge, and redemption. Melinda Inman takes a pivotal story from the past and shows us the truth and peace in real redemption – exactly what we all need. 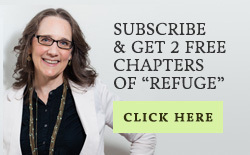 When Melinda offered me the opportunity to read her book, Refuge, in advance of its release I jumped at the chance. Refuge is a supernatural/speculative novel that plunges readers into the time of Adam and Eve, filling the white space between sentences in the story from Genesis we know so well with ingenuity. The fallen world in which Adam, Eve, and their children find themselves is one you and I can relate to, after all it is our own. Yet the landscape of Refuge manages to maintain the exotic ether of its former glory, the vapors of perfection having only just begun to dissipate. There is intrigue in this young earth where Cain, Abel and their siblings are beginning to experience the effects of their parent’s sin, and commit new sins of their own. In this place, visible angels stand guard at the entrance of Eden, an ever present reminder there’s no going back. Refuge is not only historically enlightening but a fascinating and poignant depiction of human nature. Real struggles with guilt, lust, anger, frustration, jealousy and insecurity are depicted with honest, raw and truly captivating candor. The characters are diverse, the setting is engrossing; the story feels very real. The author includes some fantastic information and questions in the back of the book demonstrating the impressive breadth of her historical research: ranging from nomadic mythology to the ancient Israelite church. Cover to cover, a great read. In Refuge: A Supernatural/speculative novel, Melinda Viergever Inman takes Cain’s act of killing Abel after God’s rejection of his own sacrifice, and weaves it into a cosmic battle between God and Satan, reminiscent of Milton’s epic Paradise Lost. She creates a poignant love story between Cain and his sister Lilith and then turns Cain’s failure into a story of God’s love and redemption. Inman inhabits Adam’s and Cain’s world with believable characters and supplies delightful details along the way so that the reader can visualize that world. The book is a real page turner as Inman creates suspense motivating the reader to persist till the last page and then beyond into the reader’s guide. This Story while hauntingly familiar compels you to consider is there more to this story than I think I know? The exploration is captivating because you are drawn to the dilemma the character struggles through as though it were your own. Is it going to be as you expect, or will you be surprised by the conclusion? Dear reader, do you want to expand your world view and color outside the lines boldly, where it is safe to do so within the comfort of an intriguing fictional story? Venture into the dark side that begs for redemption, and Find it? You decide! Jump in and explore, you won’t be disappointed! This is a very powerful book showing the power of sin to destroy a perfect world and tear apart a family; Cain’s physical power over his brother and Satan’s intense anger and hatred for humankind. As a reader, seeing the brokenness of Adam and then his son, Cain, over their own personal sins really hit home when I think about how blase I sometimes am about my own attitude toward God. I also really enjoyed the fictional aspects of the book- the descriptions of the relationships and conversations between the first family ever created, the descriptions of the Garden being guarded by cherubim, and how nature may have looken in the newly-fallen and tainted world. I was pretty engrossed in this book (lost some sleep because of it! I had to find out what happened next!). The discussion questions are not to be overlooked, either. Brokenness is a universal human condition. As a pre-reader of this novel, I have experienced the first family – on earth- and their fall from grace, the first murder, Satan’s tactics and God’s care of them as they progress from a beautiful Garden of Eden to the harshness of the world broken by their own sin. You will find yourself nodding your head and saying, “Yes, I so understand,” or “I had not thought of that being a concern”. Life was very different for them than for us in the modern world, and yet the humanness is something I experience every day. Wonderful writing, insightful dialogue and an invitation to discover who you are and who God is – after the Fall of Man. I read this as I was editing the first pass. I could NOT put it down to go to bed, preferring to lose the sleep! I just had to see what happened next! I love the way it is so compelling that the reader hardly realizes the positive spiritual impact the book is having! 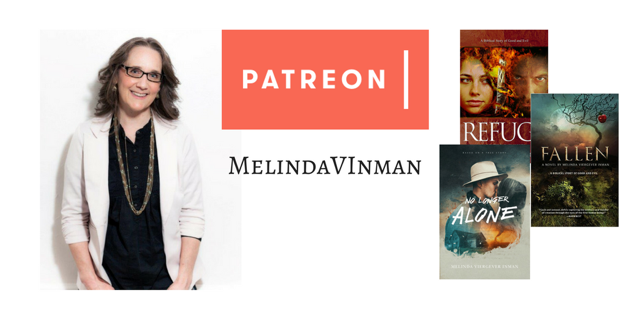 Thanks, Melinda, for following the dream God put in your heart to write! Refuge is a very powerful novel with themes that can’t help but hit home with all of us. In this story, we see the struggle of sin starting with Adam and how it accelerates with each generation. The story largely focuses on Cain and his struggle with sin and how he eventually succumbs. The aftermath of his action reaches farther than he could have ever expected. Not only is this a story of sin and the ramification of our actions, it is also a love story. We see how Cain’s act affected not only himself, but also the people he loved most. When I first started this book I wasn’t sure what to expect. The further I read, I found myself turning the page waiting to find out what was going to happen next. Tackling a concept of this depth is no easy task and I am happy to say I was not disappointed in the quality of the work. Throughout the story, I found myself questioning several things I had never really thought about before. A story like this that can keep my attention is difficult to find. I hope others get as much from the story as I did. A job well done Melinda.